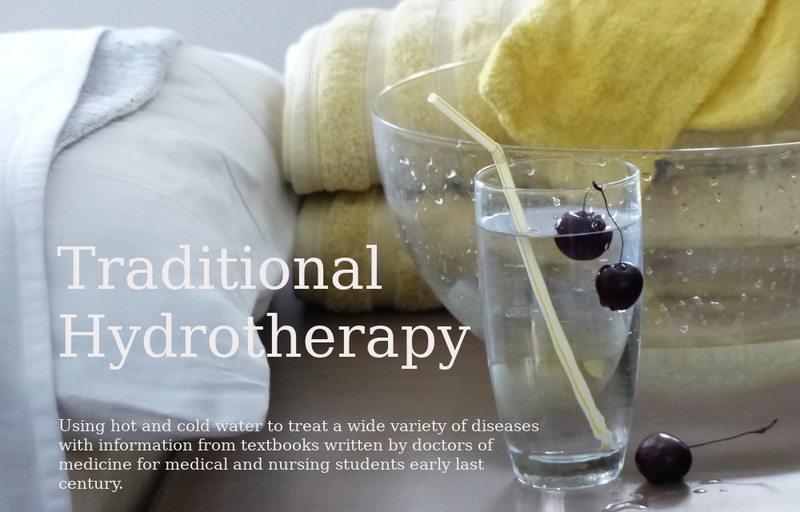 Take a look at the all-new Traditional Hydrotherapy site. The site was looking a bit tired so I decided to update it and make it mobile-friendly as well. Even more satisfying has been the addition of full treatment procedures for most of the common techniques. No more dragging out the text book. And there are more pictures too. A big thank you to the students from the Toronto hydro class for typing those procedures up. And thank you for coming along to the classes, it reinvigorated my enthusiasm for hydrotherapy. Actually it was after realising that I had to insert the procedures that got me thinking about changing the layout as well. Traditional Hydrotherapy owes a lot to the Hydro class of 2016. Pretty, pictures and procedures... even the Russian bath has some glamour. Enjoy! Please let me know if anything is broken, I didn't get time to check all the pages. One thing I'm a little disappointed in is the drop-down menu, it is a bit slow. Let me know if you don't like it, I'll put in a static one. For those who are interested, yes, all the html and css work was done with trusty old Vim. Gotta love those keyboard macros for changing hundreds of pages in a few minutes. The template was downloaded from w3layouts. They have a luscious looking range of responsive (mobile-friendly) templates for free! It took almost as long to choose one as it did to apply it. BTW I settled on the Vocation template. And if you look closely I didn't really have to modify it that much.